After a shaky last week, the San Antonio Scorpions solidified themselves as the cream of the NASL crop. With a dominating 4-0 win over the second place Tampa Bay Rowdies, the Scorpions have clinched at least a playoff spot with 6 games left in their schedule. Not only that, they also signed Ruben Luna, FC Dallas forward, on loan for the rest of the season. 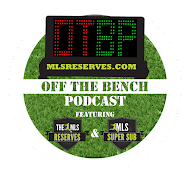 So now, they have the NASL leading goal scorer in Pablo Campos, the all-time MLS leading goal scorer in Jeff Cunningham, and have added another forward to the already potent offense that has a ridiculous goal differential of +22? Hats off to the Scorpions and their front office for really going for it in year one. While the Scorpions have already made the playoffs, other teams are fighting for position. How did they do? Meet me over at recap number 1. Hey. Guys. Thought we had talked about this. 0-0 draws don't help anyone. They don't help either team, and you aren't helping the 3,911 fans at Atlanta Silverbacks Park. Not to say the game was devoid of chances. In fact, both teams had their first chance within the first five minutes of the game. The Silverbacks best chance of the first half came in the 42nd minute, as a great low ball in found Silverbacks forward Matt Horth right in front of the goal, but could only shoot it straight into Stars 'keeper Matthew VanOekel's waiting arms. Minnesota tried to bring one back deep into first half stoppage time, but Simone Bracalello's imaginative effort from outside box sailed high. The Silverbacks went down to 10 men in the 61st minute, as Ciaran O'Brien was shown a red card. The Stars piled on the pressure after this, managing 6 of their 12 shots after the red was shown, but could not find the equalizer. Is it Groundhog Day? Did I miss the memo? Maybe my writing isn't intimidating enough. Maybe my sternly worded times new roman lettering isn't taking hold with these teams. I actually pegged Puerto Rico to win this game. Probably pretty easily as they played their first NASL game at the renovated Estadio Juan Ramon Loubriel with 7,192 in attendance. With an increased fanbase behind them, and a chance to move themselves back solidly back into second place, the Islanders had plenty to gain from winning this game. So naturally, they had a sloppy, 12 foul and 2 yellow card night, with 0 goals. The Islanders nearly had a goal less than a minute into the game, but the goal was called offside. Strikers midfielder Mark Anderson suddenly decided he was Superman in the 20th minute, but his shot was just tipped over the bar by Strikers 'keeper Matt Glaeser. Both teams had a minimal amount of chances in the second half, with the best going to the Strikers, who nearly put the ball behind Richard Martin on a free kick from just about 25 yards out. Ah. That's better. The Carolina Railhawks beat FC Edmonton in an exciting game, which the Railhawks won with a stoppage time beauty from Ty Shipalane, with 3,688 fans cheering the Railhawks on. It was actually the Eddies that came first out of the gate, even if it was the Railhawks who decided to open the gate for them. A bad giveaway fell right Edmonton forward Paul Craig, who made a fantastic outside of the right-foot shot, which curled around a diving Railhawks 'keeper Akira Fitzgerald. The Railhawks didn't like this very much, and in the 30th minute, Nick Zimmerman decided to do something about it, with a nifty midfield move, a sprint to the goal, and a low ball right by Eddies 'keeper Lance Parker. In the second half though, things picked up. 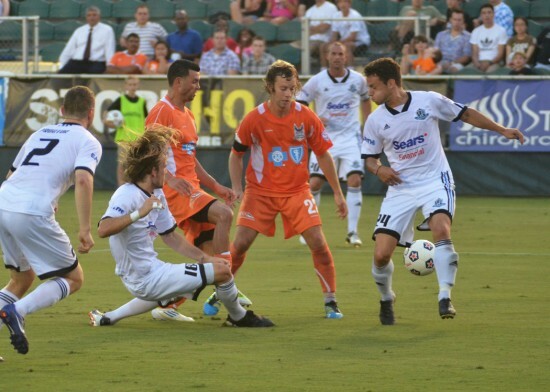 The Eddies broke the deadlock in the 72nd minute, and the Railhawks did not gift them this one. Eddies forward Kyle Porter made a beast of a run through two defenders, then took it to the house himself, curling a left-footed shot around Fitzgerald. The Eddies should have shored up their defense and locked the game away for the final 18 minutes. Carolina had other ideas, and drew the game less than 10 minutes later, when a low cross in from Mike Palacio was deflected up to Zack Schilawski's head, who cleanly knocked it in. I'd like to tell you it was a beautiful Railhawks team goal that won the game for them. That would be a lie. Well, he did receive a pass at one point, but this was mostly the Ty Shipalane show, who duked and dodged between three defenders into the box, and finished it strongly past Parker. The win put the Railhawks another three points clear of the Eddies and the last playoff position. A week after the Scorpions looked vulnerable than they have since the beginning of the season, they decided to clear any sort of doubts from everyone in the league, completely ripping the number 2 team in the league 4-0, with 7,024 watching from Heroes Stadium. The Scorpions stepped on the gas pedal with their first goal coming less than 10 minutes in, as a through ball behind the defense found Walter Ramirez, who made no mistake, ripping the shot low past Rowdies 'keeper Jeff Antinella. Goal number 2 though, was the goal that will compete with Shipalane for Goal of the week honors, even if there aren't many options. A through ball right up the middle from midfielder Kevin Harmse caught the center backs sleeping, as Pablo Campos burst right through the middle, then promptly broke Jeff Antinella's ankles, and easily scored. The Scorpions won their French Fries on a penalty kick less than 10 minutes later, as Pablo Campos was brought down by Antinella in the box for the PK. 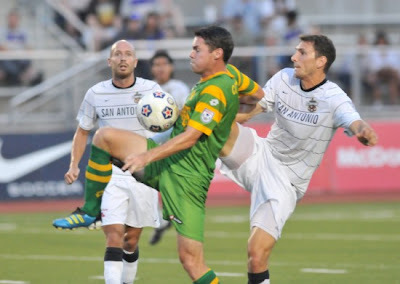 Campos slotted that away for his NASL leading 18th of the season. The Scorpions could've scored more, as they had as many chances in the second half as Tampa Bay had the whole game, with a total of 8 shots. The Scorpions added a stoppage time love-pat to the Rowdies, as a nice through ball from Hans Dennisen found a streaking Esteban Bayona, who was able to place it past Antinella. The Scorpions solidified their first place standings, now a whole 7 points ahead of the second place Islanders. It should also be noted that the Scorpions are a ridiculous +22 on goal differential, which is as stated, thoroughly ridiculous. It also needs to stated that the Scorpions added another striker(seriously) in Ruben Luna, who is on loan from FC Dallas. The Scorpions have taken “you can never have too many options” cliché to the next level. This next week Atlanta take on Carolina, Fort Lauderdale go up against San Antonio, Minnesota faces Edmonton, and the best match of the week will be Tampa Bay facing Puerto Rico. X – Denotes team with a clenched playoff spot. "The Scorpions won their French Fries..." I like this reference. Good stuff as always Mr. Gips.